Narimanfilm, the official partner of the Giffoni International Film Festival, is looking forward four young jury members to participate in the film festival, to be held in the Macedonian capital Skopje on October 6-11. During the festival, children will be accommodated in Macedonian families. The festival participants are responsible for the costs associated with obtaining a visa and tickets. Knowledge of English is required. Giffoni ?nternational Film Festival has a history of half a century and is a unique festival where group of judges consist of children from various countries. 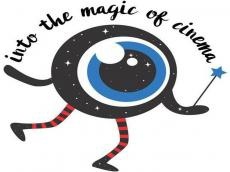 About 5600 children from 52 countries around the world watched and estimated 100 films. By the number of countries and participants, the festival can be compared with the Olympic Games. During the festival, children have an opportunity to discuss the films they have watched with their peers and identify the winner of the contest, talk with actors, filmmakers and most importantly make friends from different countries.